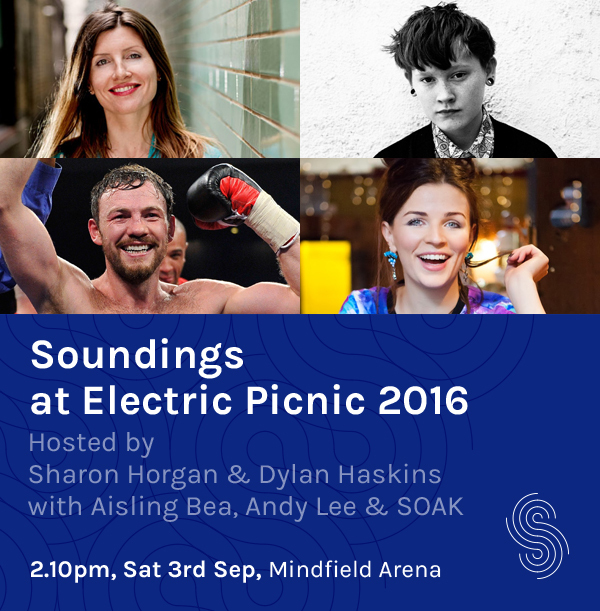 Soundings returns to its Saturday afternoon slot at Ireland’s biggest music and arts festival on the new Ah, Hear! 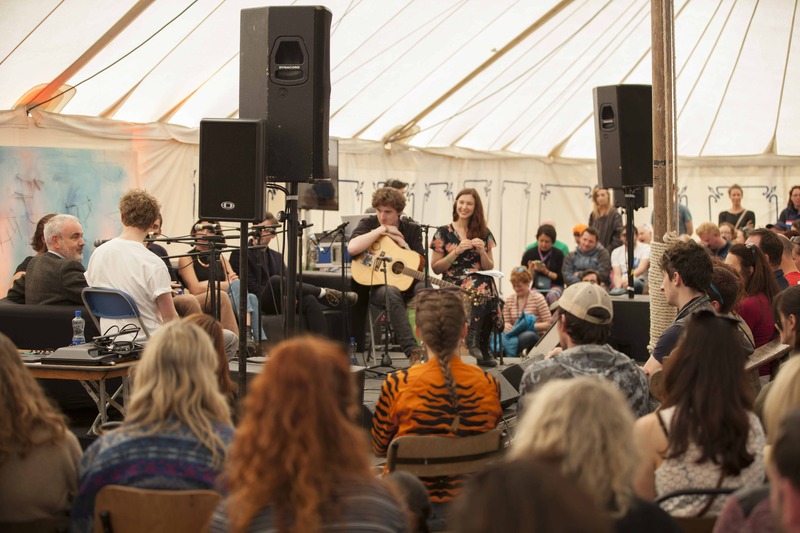 podcast stage at Electric Picnic’s Mindfield. 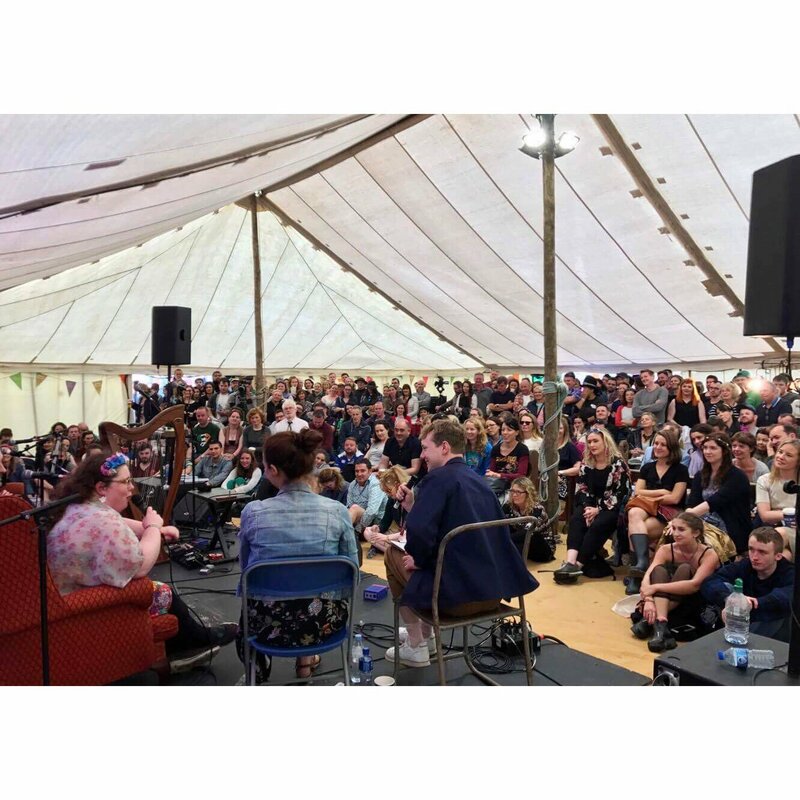 Co-hosted by Lisa Hannigan and Dylan Haskins, guests include best-selling author Marian Keyes, winners of the 2018 Choice Music Prize – Ships and more. The show is from 2 – 3.30pm on the Ah, Hear! podcast stage at Mindfield on Saturday 1st September 2018. 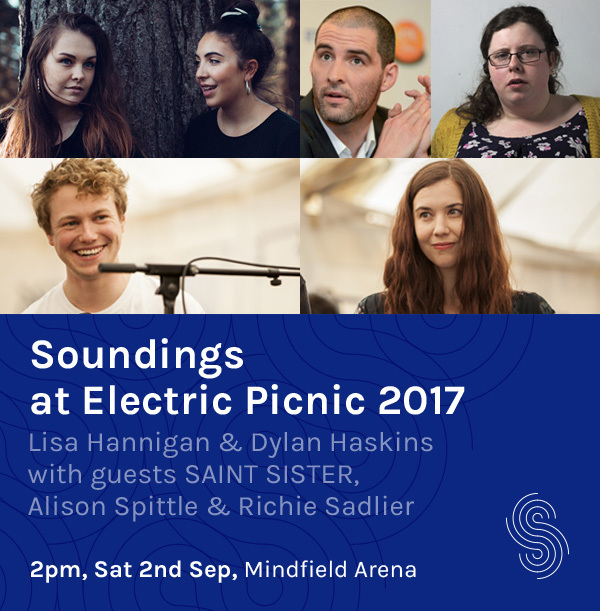 A packed-out highlight at the Mindfield Arena for the past two years in a row, Soundings returns to its Saturday afternoon slot in Stradbally co-hosted by Lisa Hannigan and Dylan Haskins. Guests include musical duo Saint Sister, comedian Alison Spittle and former professional footballer, pundit and podcaster Richie Sadlier. The show is on 2 – 3.30pm in the Leviathan tent on Saturday 2nd September 2017. 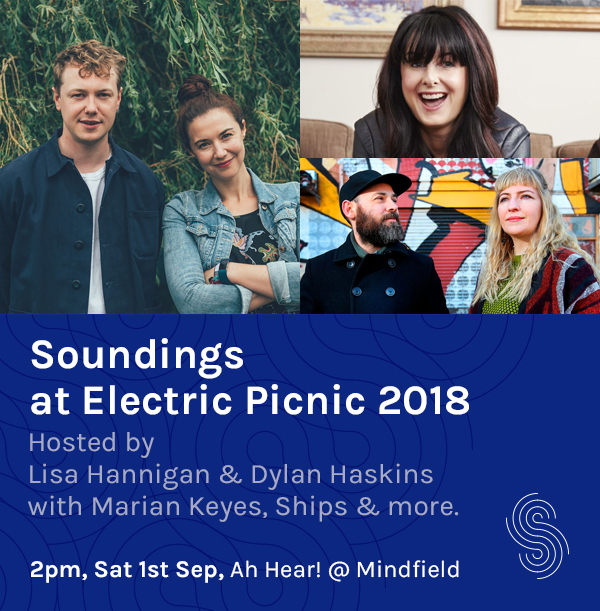 Soundings returns to the sold out Electric Picnic festival this September, with previous guest Sharon Horgan joining Dylan Haskins as co-host while Lisa Hannigan is away on tour with her new album. After a year that saw her debut album winning the Choice Prize and nominated for the Mercury Prize, SOAK makes an exclusive Electric Picnic appearance at Soundings – joining comedian Aisling Bea and world-champion boxer Andy Lee as special guests with Dylan and Sharon in the Leviathan Tent at Mindfield for an hour and a half of story and song..
You can catch Soundings Holy Trinity at 2.10pm on Saturday 3rd September in the Leviathan Tent at Mindfield. 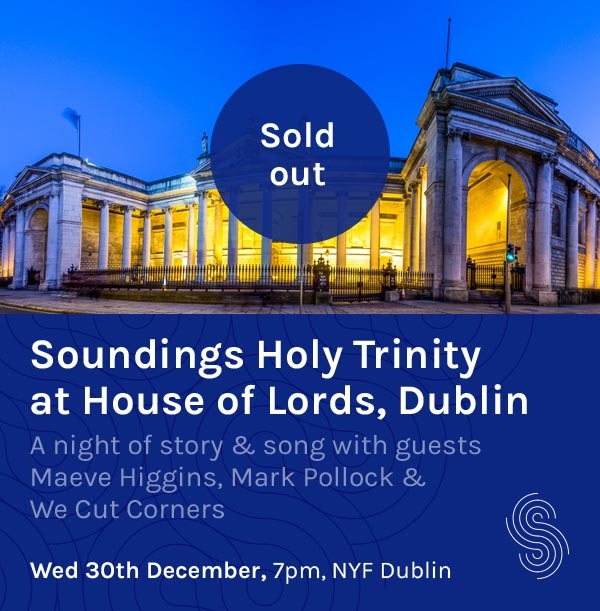 Soundings Holy Trinity returns to New Years Festival Dublin with special guests comedian Maeve Higgins, adventure athlete Mark Pollock and Dublin band We Cut Corners for an hour and a half of story and song to inspire, alarm and humour in the unique setting of the 18th century former House of Lords at Bank of Ireland, College Green. Expect an entertaining night of story and song with special guests, mulled wine and a blazing fire in an iconic Dublin building. 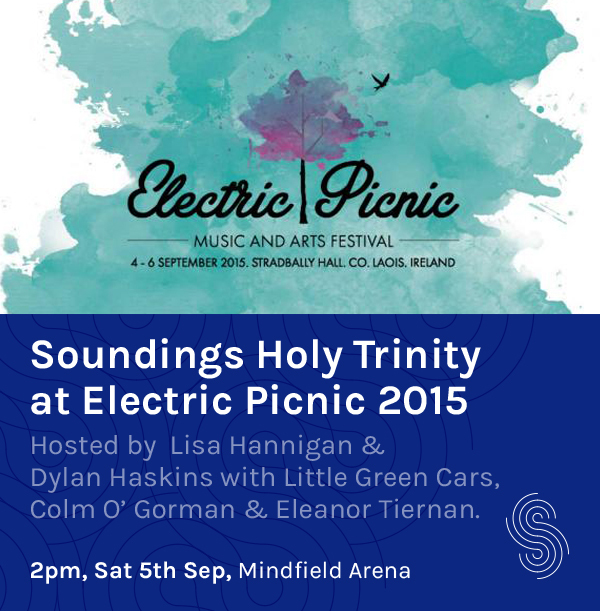 After a year of sell-out shows and festival appearances in the UK and Ireland including a sold out St. Patrick’s Cathedral last October and a packed tent at Electric Picnic, this is a chance to experience Soundings in an intimate venue . In 2016 Soundings will make its USA debut with three shows throughout the year in New York City. Soundings is a show for the curious, the serious and the hilarious with guests telling three stories to inspire, alarm and humour, eased along with musical interludes. 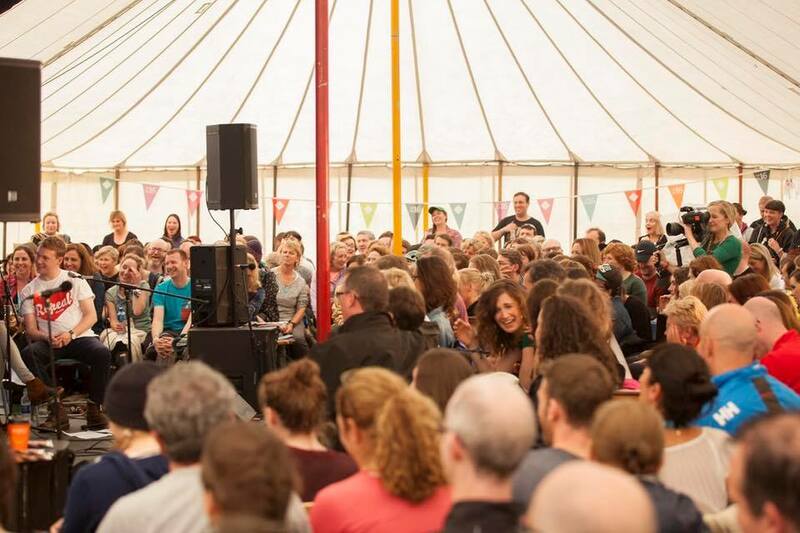 Previous guests have ranged from war photographers to drag queens to Catholic priests, with well known names like David O’Doherty, Amy Huberman, Panti, Sharon Horgan, Aine Lawlor, Fionn Regan, Andy Irvine, Jape, Hudson Taylor, Gabrielle Aplin, Paul Noonan and brothers Bryce & Aaron Dessner from US band The National. Limited tickets at €15 (plus booking) go on sale here on Friday 11th December at 9am and include a complimentary glass of mulled wine on arrival. 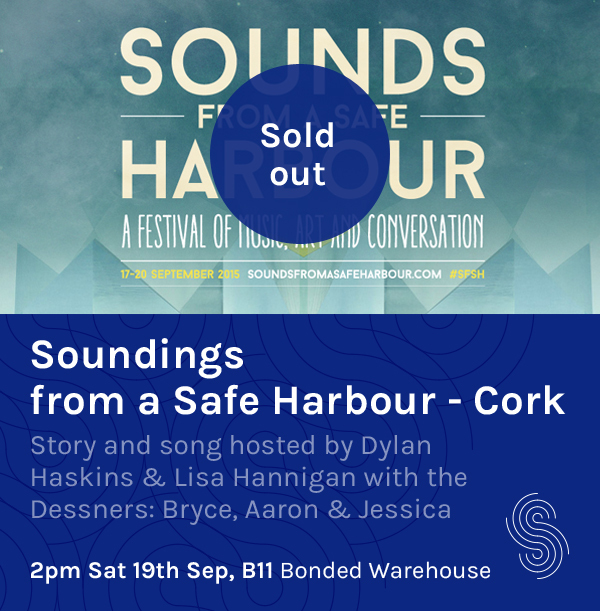 An hour and a half of story and song to inspire, alarm and humour, hosted by Dylan Haskins & Lisa Hannigan with special guests: actress & writer Amy Huberman, poet Theo Dorgan, 14 year old star of Sky One’s ‘Moone Boy’ David Rawle and music guests Heathers. 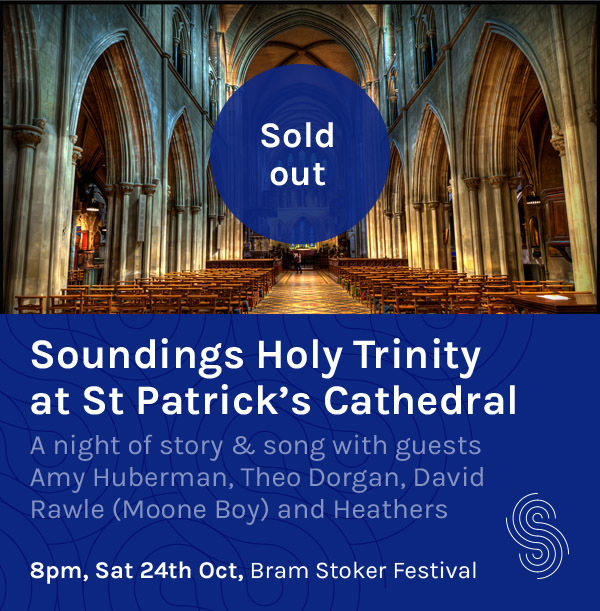 After a string of sell-out shows and festival appearances in the UK and Ireland, Dylan Haskins and Lisa Hannigan’s live show-come-podcast Soundings Holy Trinity returns to Dublin for their biggest show yet in the historic surrounds of St. Patrick’s Cathedral. Expect an entertaining night of story and song with special guests, presented as part of Bram Stoker Festival. 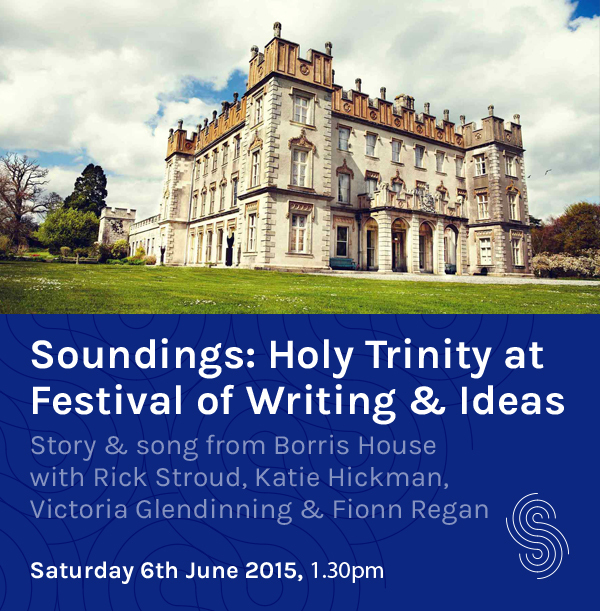 After a string of sell-out shows and festival appearances in the UK and Ireland, Soundings Holy Trinity comes to Cork for the very first time as part of the inaugural Sounds From A Safe Harbour festival, curated by Bryce Dessner (The National) and Cork Opera House. We’ve called the show Soundings from a Safe Harbour and we’re very excited to announce that our Holy Trinity of guests for this edition are the three Dessner siblings: Bryce, Aaron and Jessica. The show will take place in a disused old bonded warehouse in the Port of Cork, that has never before been opened to the public.